Many home and business owners across California utilize carports to store their vehicles in. A carport is an easy-to-use overhead for vehicles of all kinds; it’s also an affordable solution compared to building an entirely new building for your cars. In a climate that sees very little rain and mostly sunshine, solar panels on carports would be a great idea. You can create one structure and use it for two purposes. Fortunately, solar panel carports are already in production. Whether you go with the traditional mounted panels or the integrated panels, you can transform your carport into an energy-producing entity. How Does A Solar Panel Carport Work? As with other solar panel systems, the solar panel carport collects sunlight and generates energy. The carport itself can either have panels mounted on the roof or the panels can be integrated into the roof during production. Once the structure and panels are installed, they will generate energy similar to panels mounted on a roof or in an open space. What’s The Advantage of a Solar Panel Carport? Using a carport to store and protect your vehicles while also producing clean energy gives you double the benefits. If you have an electric car, you could also charge your car while it’s parked beneath the carport. Some carport owners install a battery bank in an enclosed space to store any excess energy generated for later use. With a solar panel carport, you won’t need to allocate more land to install solar panels. You can simply choose an integrated solar panel roof or install traditional solar panels on the roof of your carport without taking more land to achieve your green energy goals. This means your backyard, back pasture, and remaining business property is free for use. In general, a residential solar panel carport will be smaller and produce less energy than a commercially designed and installed carport. However, the use is essentially the same, just on a different scale. If you’re a homeowner and want to use green energy, but don’t want to install panels on the roof of your home, you can use your carport. For commercial businesses, a solar panel carport can be utilized in an existing parking lot without taking up any more space than before it was installed. In either case, it could prompt the purchase of electric vehicles. One advantage residential solar panel carports have over commercial carports is the material used for construction. In a majority of cases, commercial construction will be required to use steel. Residential construction is not required to use steel for the structure, which means a lower cost when it comes to construction. 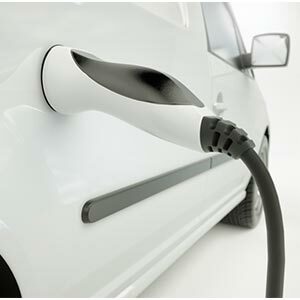 Can I Charge My Eco-Friendly Vehicle? The short answer is yes. You can use a solar panel carport to charge your eco-friendly electric vehicle. 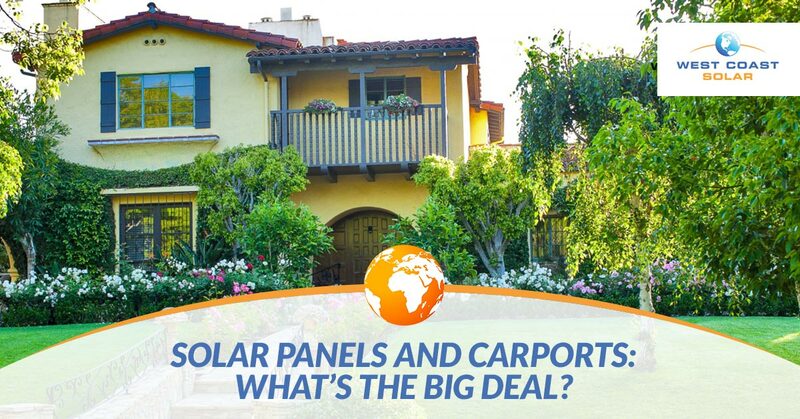 If you’re in the process of installing a carport, consider adding solar panels, getting a new car, and helping the environment with a few easy decisions. At West Coast Solar, we keep solar simple. Whether you’re a homeowner or a business owner, our mission is to help you find the best solar power solution for your energy use. You help the environment, save on utility bills, and find a peace of mind when you make the switch to solar power. Are you ready to get started on your solar system design? Give us a call today!